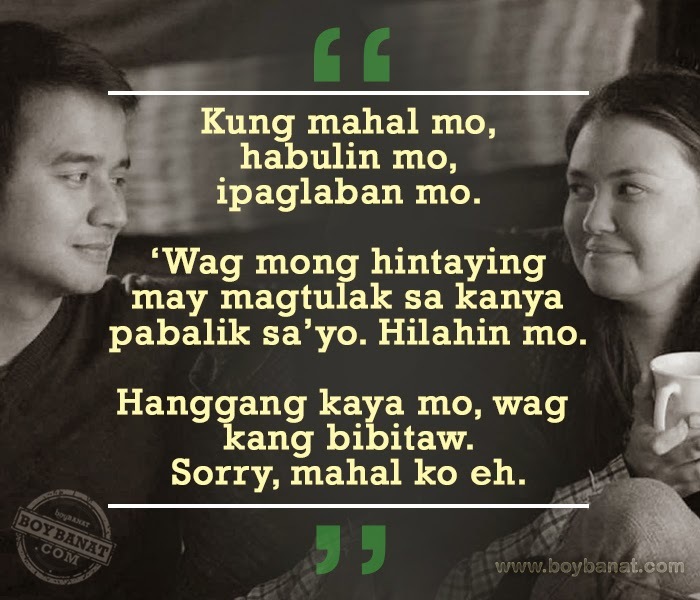 Unforgettable Hugot Lines from That Thing Called Tadhana Movie is a compilation of quotes from a romantic-comedy film that serves as a pre-Valentine treat of Star Cinema. "Where do broken hearts go?" a question that has been asked by people whose hearts have been mending on their shelves. Written by Antoinette Jadaone, it's a story of two heartbroken strangers named Mace (Angelica Panganiban) and Anthony (JM de Guzman) who met unexpectedly in an airport in Rome. That circumstance paved the way to their unlikely friendship and started their journey to Sagada in an effort to alleviate their aching hearts. They shared experience over palpable sense of loss and having new ones. 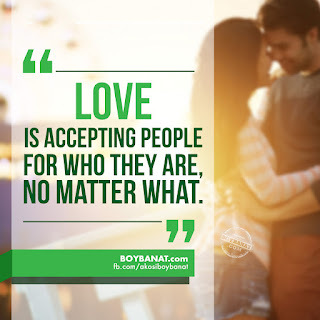 Fall in love with more relatable quotes and movie lines by visiting www.boybanat.com. Or you can check Boy Banat Official Facebook Page for the latest feeds. If you also have your own "hugot" lines to share, feel free to contact us and we will be glad to feature them here.